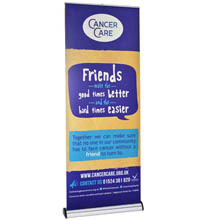 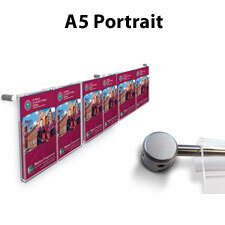 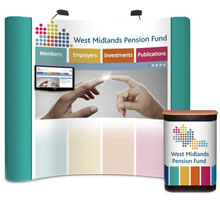 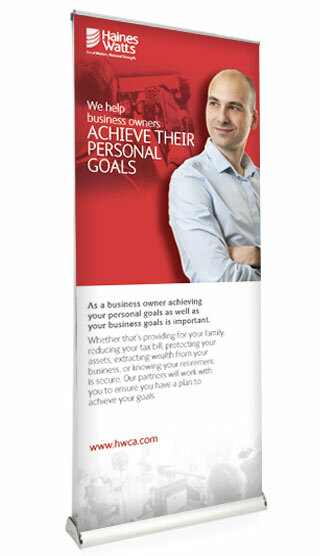 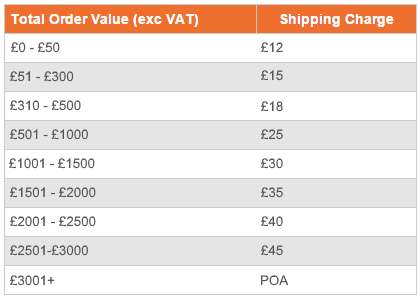 The V6000 is our bestselling superior double-sided banner stand. 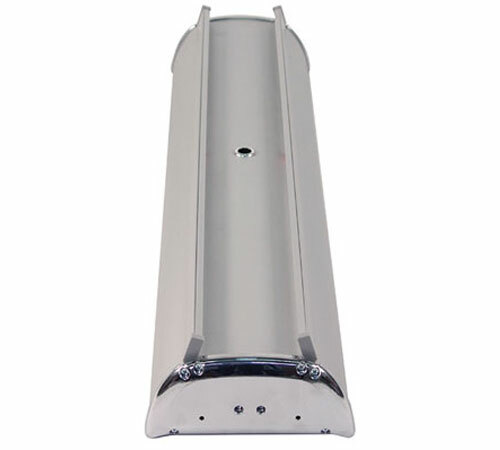 The smooth roller mechanism allows for two individual graphic panels to be effortlessly pulled in and out of the base cassette, so one person can install the unit in under a minute. 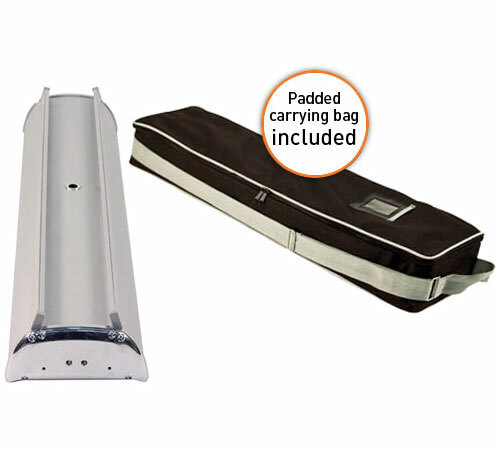 The banner is supplied with a three-part bungee pole, stylish chrome end caps and a luxury foam padded carry bag for added protection. 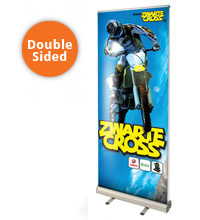 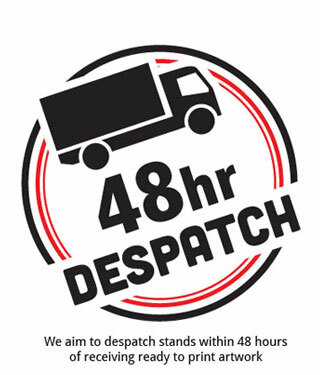 It is available in two widths, 850 and 100mm and includes premium full colour printed graphic panels, which sit back to back. 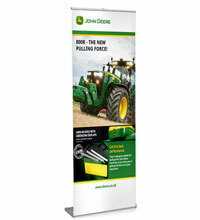 Create a big impact at your next exhibition with our V6000 double sided pop-up banner!